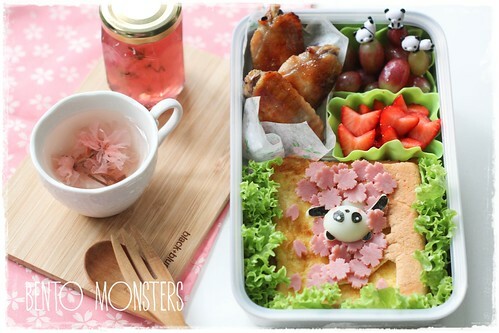 A little late to be sharing sakura bento, since the season is already over. 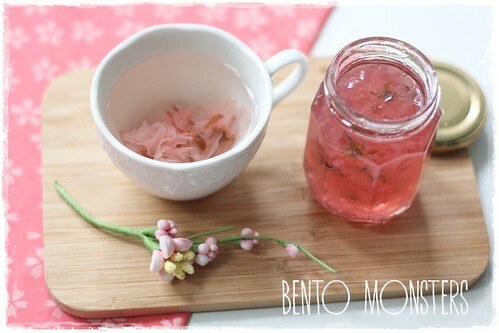 I actually still have more sakura desserts to share too, I've made quite a few desserts using them, don't want to waste those pretty sakura flowers I have, will blog about those next time. 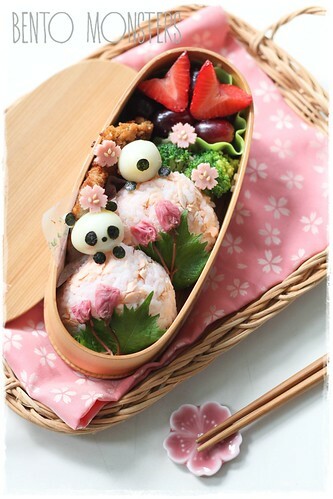 Sakura onigiri in this bento is rice mixed with pink sushi mix and flaked salted salmon. 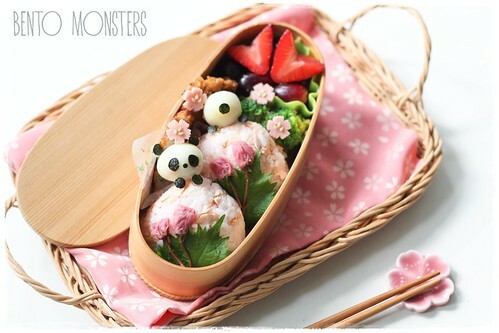 I added on shiso leaves and pickled sakura on the onigiri. 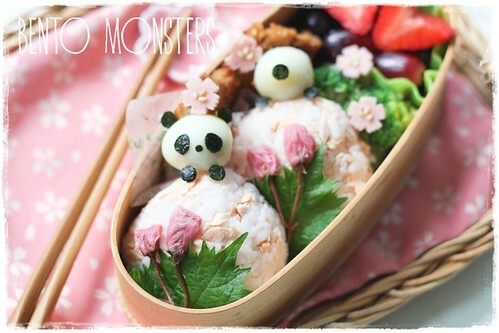 Panda is made using quail eggs, nori and cheese. Can you spot the other panda beind with its head buried? 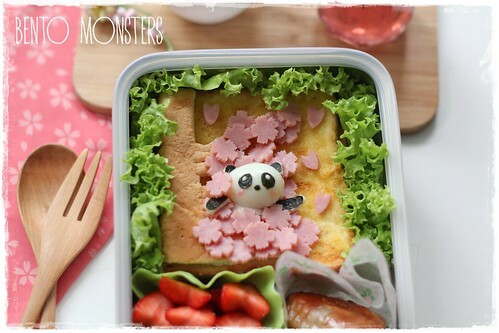 I also made a cheeky panda playing on a sakura tree. The base is a french toast. 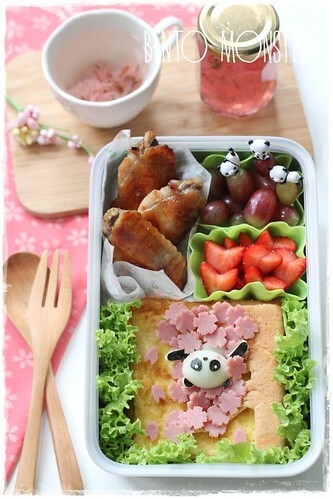 The sakura tree is made using ham and bread crust. Absolutely adorable! Your food looks amazing!